So once again I find the need to post an article not written by myself. But this article was found in a Finnish newspaper and it was simply too good to not be translated into english and then shared. Fear not however, there will be my usually slanted race review after the race in China on Sunday. Expect the post to be up on Monday. Until then, enjoy this piece. I know I did. In September 2000, Michael Schumacher was testing for Ferrari on the Mugello track. Sauber was also allowed to participate in the same test because they were Ferrari’s engine-customer. They still remember in F1-circles how Schumacher wondered over the Sauber’s pace. He had no idea about who was driving the car but he decided to go and take a look. Schumacher was very surprised when hearing that there’s a young Finn driving the Sauber car, a guy who never before had driven an F1-car. I guess Schumacher would have been speechless had he also known that the 20-year old youngster had raced in only 23 races with formula-cars and never before with a car faster than a Formula Renault. A year later Ferrari was already trying to get Räikkönen to their team. Many drivers would undoubtedly had signed the contract with the world’s most famous racing team but Räikkönen could afford to say no thank you. He knew that he could only have had a #2 status in the team that was built around Schumacher. At that point McLaren was a much more tempting offer. 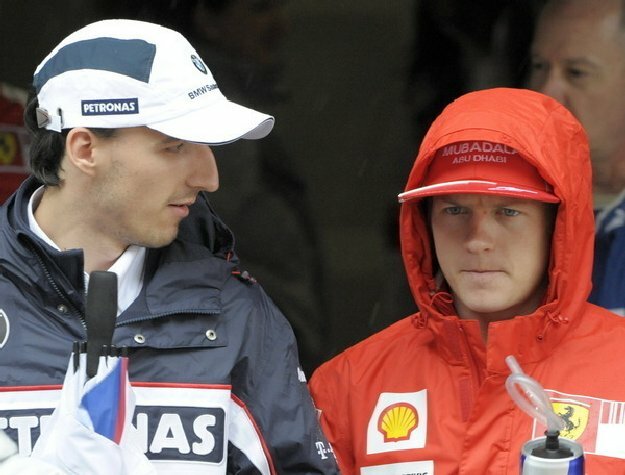 Ron Dennis had set his eyes on Räikkönen already before the first part of the season had ended. In the end Dennis also got Räikkönen’s signature in a multi-year contract. Mika Häkkinen made room for Kimi. Despite McLaren’s promises they could never offer Räikkönen a car that would be so good that he would win the WDC with it. He effectively lost two WDCs because of problems in reliability. Six years after the test in Mugello, di Montezemolo told Schumacher that if he wants he can stay, but Räikkönen is coming next season. Montezemelo didn’t promise Schumacher an automatic #1 status, hence the German drew his own conclusions and decided to retire. Räikkönen won the WDC in his first season with Ferrari but his most sensational performances came from the times in McLaren. Real fans remember small situations where Räikkönen’s bravery and cold nerves surfaced in a spectacular way. It was Räikkönen, who in Spa went flat out through a smoke cloud without practically seeing anything or knowing where the driver who broke his engine was stranded. Who would have thought that Räikkönen and Schumacher would start in the Australian GP 2012 – eleven and a half year after the famous test in Mugello. The atmosphere in NASCAR and WRC were laid-back enough for Räikkönen, however he still missed something from the place he had, according to many, left too early.Räikkönen had driven two NASCAR-races in the US. After those races, he started to think about the continuance of his career. “I wanted to go back to F1 because I got tired of only racing against time, like they do in rally. Now it feels like I have come back home.”, Räikkönen justified to the international media in Zürich. On 29th of November Lotus confirmed that they had made a contract with Räikkönen. Before that he had been strongly connected to Williams, and both parties had negotiated seriously over a contract. Williams wanted Räikkönen also because they believed they would get with his help a substantial sponsor-support from Qatar and possibly even from Saudi-Arabia. Räikkönen’s managers David and Steve Robertson were seen in Williams’ premises in Abu Dhabi GP in November. “We negotiated for a long time with Williams but just couldn’t come up with a contract” Kimi said. Räikkönen and Robertsons went quickly to Plan B, which meant Lotus. They had negotiated with Lotus-Renault’s bosses already in 2010, but Räikkönen got mad when team manager Eric Boullier leaked out information to the public. Räikkönen felt like the team was using him. “I am very disappointed in the way they have used my name for their own marketing” Räikkönen told Turun Sanomat in October 2010. “At no point have I even thought seriously about driving in Renault and I can assure you 100% that I am not driving in Renault next year. My managers were only once in contact with Renault’s team manager weeks ago. That’s all”, Räikkönen continued. Lotus-Renault wasn’t short of driver candidates but especially Gerard Lopez wanted Räikkönen. He understood that the team needs a real star driver who attracts the interest of sponsors. Even after the 2010 season, Lotus-Renault intended to build the team around Kubica. They wanted to make him the indisputable #1 driver. Of course the team acknowledged that Kubica could well jump to Ferrari. “We lost the system which we had built around Kubica. That’s why last season was very frustrating. 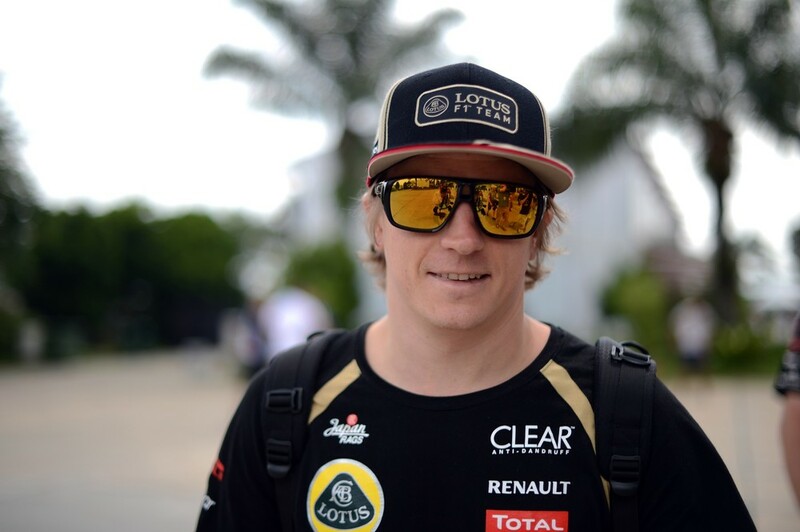 Kimi has brought new energy to the team”, Boullier said during Jerez testing. Räikkönen will bring a different kind of leadership to Lotus than Kubica, who was very demanding and didn’t cover up his dissatisfaction. Now they have a WDC in the team and that has already had a positive impact. “It’s probably a matter of emotional things. Even before we told about Kimi’s contract, people from our team stopped me and asked about him. In the factory, Kimi’s reputation preceded him”, Boullier described. Hiring Räikkönen was a gamble for Lotus but it would also had been a gamble if they hadn’t taken him. “When a top sportsman stops training, it takes time to get back on the same level. Kimi has already proved that he hasn’t lost anything. Now it’s only a question of how he gets the GP-weekend done”, Boullier thought. The Lotus crew wondered over Räikkönen’s talent already in Valencia, when he got the chance to drive a two year old Renault for two days. His absence from F1 didn’t show anywhere. Räikkönen set unbelievably even lap times right from the start. “I felt it in my neck but no more than before when coming to the season’s first tests. I thought it would have hurt more”, Kimi said after the opening test. People have criticized Räikkönen’s ability to give technical feedback every now and then during the years. When Räikkönen was replaced by Fernando Alonso in McLaren, the team’s engineer Mike Wilson immediately spoke. “From Alonso we got more information about the car in one day than we got from Kimi in three years”. However Alan Permane, test-manager in Lotus, who has also worked with Alonso, was of a completely different opinion. He has followed Räikkönen’s driving from very close up during the last months. “Kimi is extremely good because he can drive even and fast laptimes for a longer time. His feedback is also excellent. His knowledge about for example the engine and the differential gear is excellent”, Permane has said. Räikkönen is a person who divides opinions. It would be wrong to say that he is either loved or hated, because hate is yet a too negative word to describe anyone’s feelings about Räikkönen. There is a certain kind of rebelliousness and unexpectedness in Räikkönen. It fascinates. This winter the interest for Räikkönen has been bigger than ever before. “We knew that Kimi is popular, but I’m really surprised over what kind of a positive hurly-burly his comeback has caused”, Gerard Lopez said in Jerez. Räikkönen doesn’t even want to hear the word ‘motivation’ anymore, but he is certainly more motivated than he was during his last Ferrari-season. Back then his motivation wasn’t weakened because of the poor car. However it is obvious that it has to have some kind of an impact on a driver, when his own team tries to get rid of him. Räikkönen knew in the beginning of 2009 that Ferrari wanted Alonso to be the #1 driver the next season already. He would definitely had wanted to continue in Ferrari. The termination of the contract took a toll on Räikkönen, although the compensation was good. It was 18 million dollars. However money didn’t make him happy. “When I see a Ferrari on the track it doesn’t have any impact on me. Driving in Ferrari was a great phase of my career but it’s over and it didn’t end well”, Räikkönen opened up about his feelings for Ferrari. “Things don’t always go as you wish in life. At that time it was what happened to me but it’s history and I don’t regret anything”. Lotus is also a legendary brand. 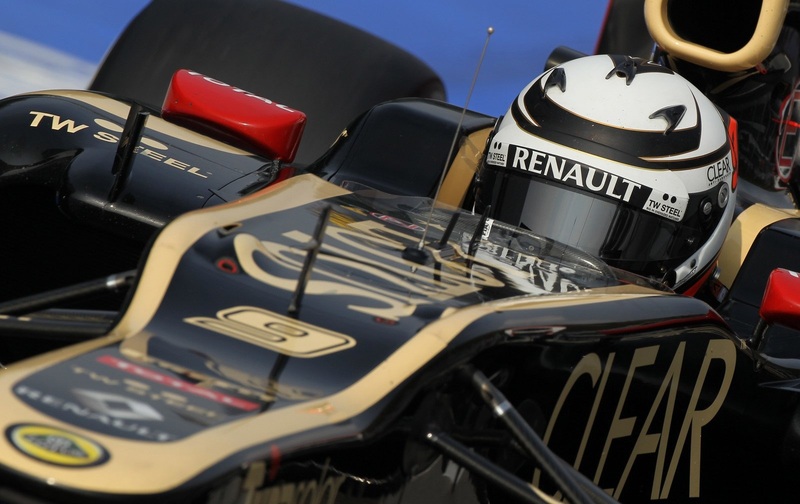 Driving in a car painted black and gold brings nostalgic thoughts to Räikkönen. “Many remember the coloring from 1970’s and 80’s. I have watched video from when Senna raced for Lotus. The coloring was quite exceptional back then already.”. Räikkönen didn’t come back to F1 just because he missed it. Money also played a part in it, although Räikkönen doesn’t lack money. He has earned over 200 million euros during his career. About a third of that goes to his managers. Räikkönen has many valuable estates and tending them takes a lot of money, he often flies with a rented jet as well. His life is expensive. “Of course money also matters. Driving is my work and I want to get paid for it, but I don’t have to drive for money anymore. Enjoying the driving is the main thing”. 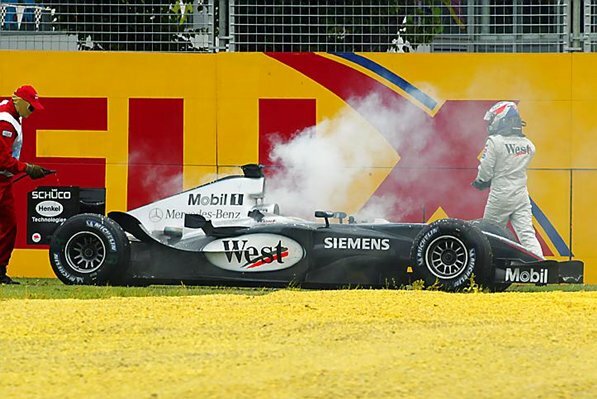 Last year Räikkönen found himself in a situation where he had to pay for his driving for the first time in his career. He also understood that the rally-career was sort of over. He had already seen it, although he still enjoys rallies. “But rally drivers will also struggle if they are put into an F1-car”. The comeback to F1-tracks have rarely brought a driver success after he has once retired. However Räikkönen is in many ways a special case. Thanks to Mr. Aittoniemi for a great article. 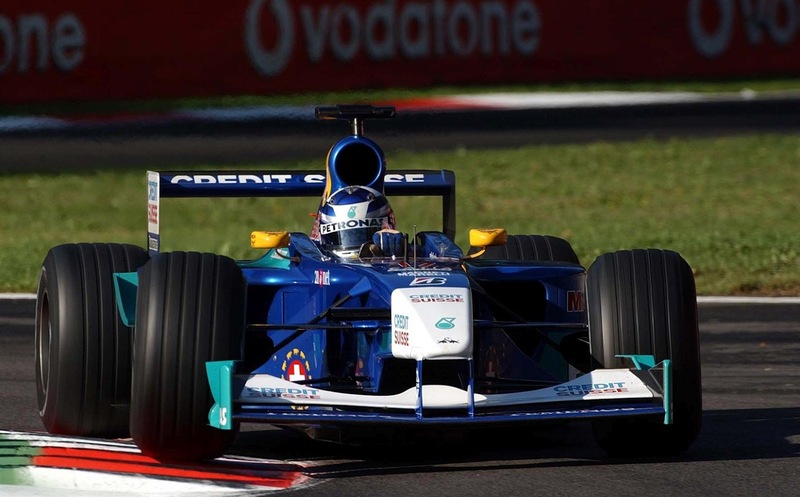 This entry was posted in Formula 1 and tagged Ferrari, Formula 1, formula renault, Kimi, kimi raikkonen, lotus team, McLaren, michael schumacher, Sauber, Schumacher. Bookmark the permalink. 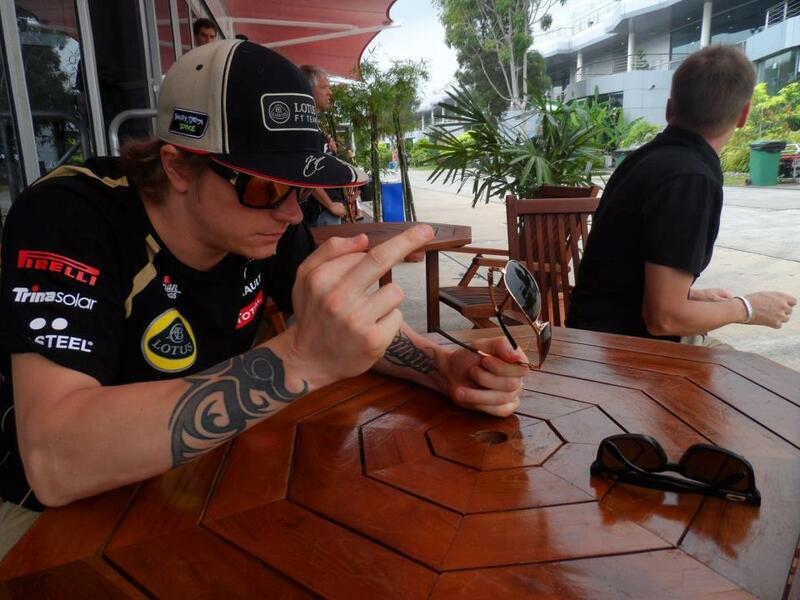 Thanks for posting… Kimi is perfect at being Kimi. Imho, he’s the fastest (and coolest) man on the planet.